It has been a full month since the last post – being pretty busy with setting up OKeh and getting the first albums ready. I read in the Swiss magazine Jazz’n’more that the journalist, composer and musician Kurt S. Weil passed away in December. I had the pleasure to meet him several times since the days he made GRP a force in Europe and then with his articles and own recordings, being a great vibes player. His energy and ideas will be missed – especially in a Switzerland that lost in a short period of time 3 not only locally important personalities in Jazz: Claude Nobs, George Gruntz and Kurt S. Weil. I had as well in March the pleasure to be on the panel for the music industry at TAKE FIVE UK VIII – and it was great to talk and discuss with these eager and interested to learn young musicians. Good to see Gwyneth Herbert in the group, who I really like and had the pleasure working with a few years back. Unfortunately my schedule didn’t allow me to listen to the group rehearsing and performing, which I usually like to do. Good to see John Surman again as well and have a bit of a chat about music. I will be going back to the place of the events in May for the first TAKE FIVE Switzerland and will report from that one in time. Went out to see Ariadna Castellanos yesterday – a young and immensely talented pianist, who play flamenco on the piano, with power and feeling and a lot of fun. The presentation of her debut album ‘Flamenco en Black & White’ at the club Clamores was a great show with several special guests, including singer Sandra Carrasco. As her producer Javier Limon said in the introduction: She is not playing the guitar – she is not a man – she is not a gypsy – but she surely plays Flamenco! 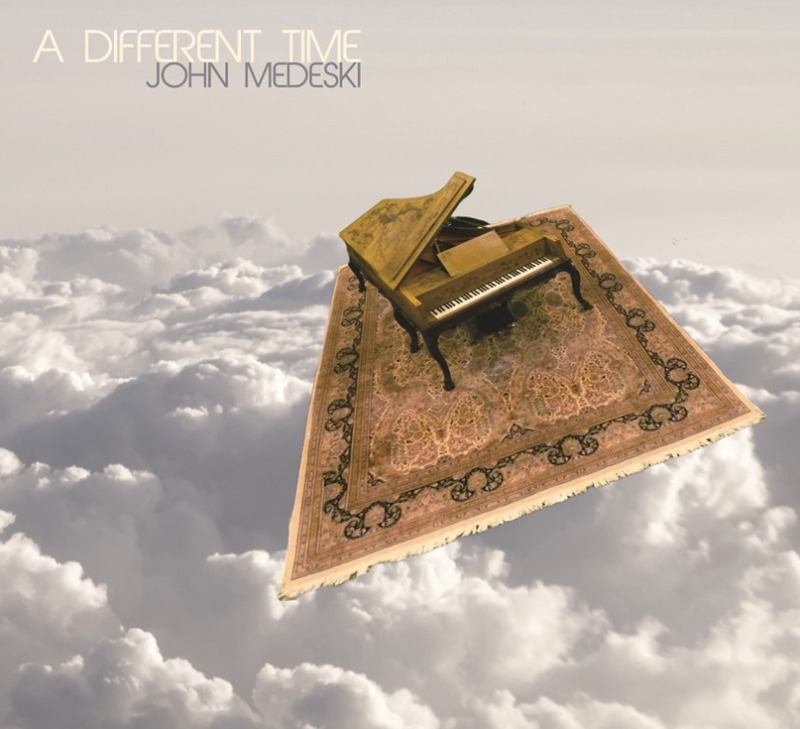 This is the cover for the first OKeh release – John Medeski’s solo piano outing A Different Time. You can already listen to snippets at https://soundcloud.com/#okeh-records where step by step sound bites from all recordings will appear. Next one is Pedrito Martinez, a Calle 54 release via Okeh, then Michel Camilo, Bob James & Dave Sanborn and Bill Frisell. and more to come in the fall – watch this space.